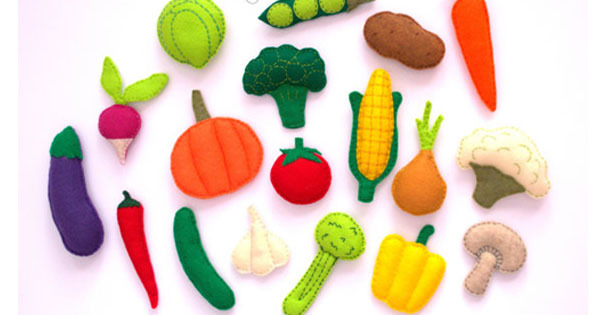 Have fun playing in the kitchen with these mouthwatering felt vegie magnets. Set of 18. $79 from Ladybug On Chamomile.